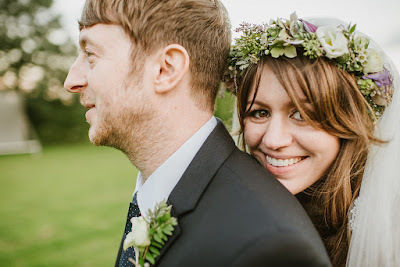 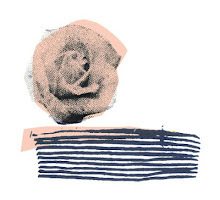 We first met Sarah and Simon at A Most Curious Wedding Fair in March 2015. They were getting married in September; the venue was planned and they were on the hunt for flowers and a photographer. 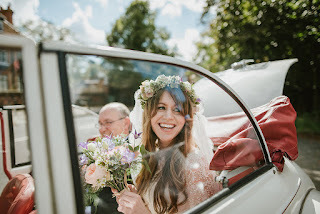 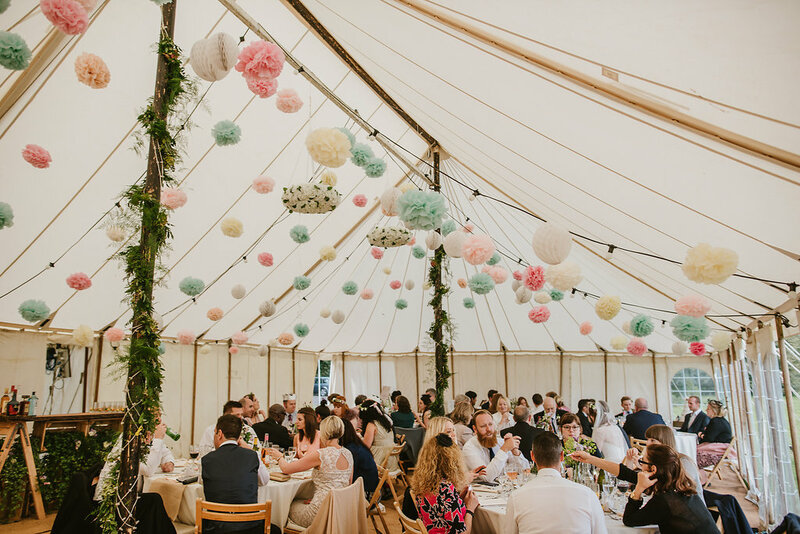 The reception was held in a marquee erected in the grounds of Great and Little Warley Cricket Club - a clearing in a woody area that has amazing views over London. A country church and a woodland reception calls for a certain type of flowers - relaxed, with a touch of whimsy. 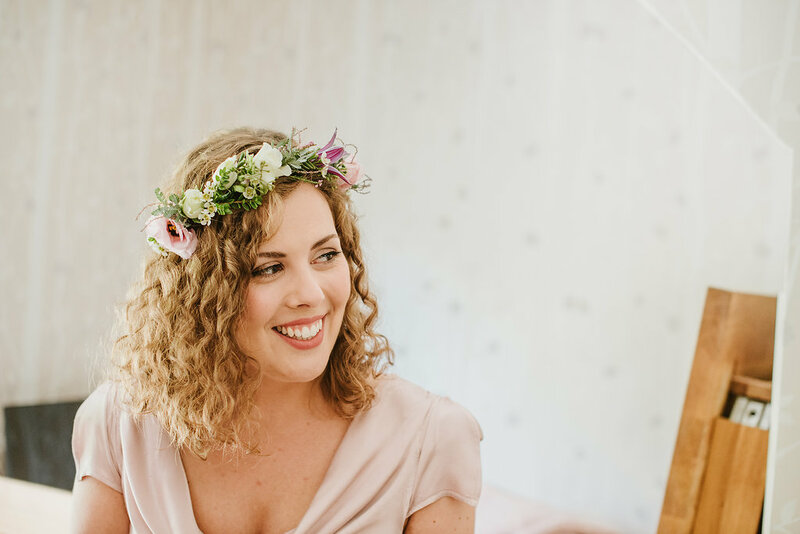 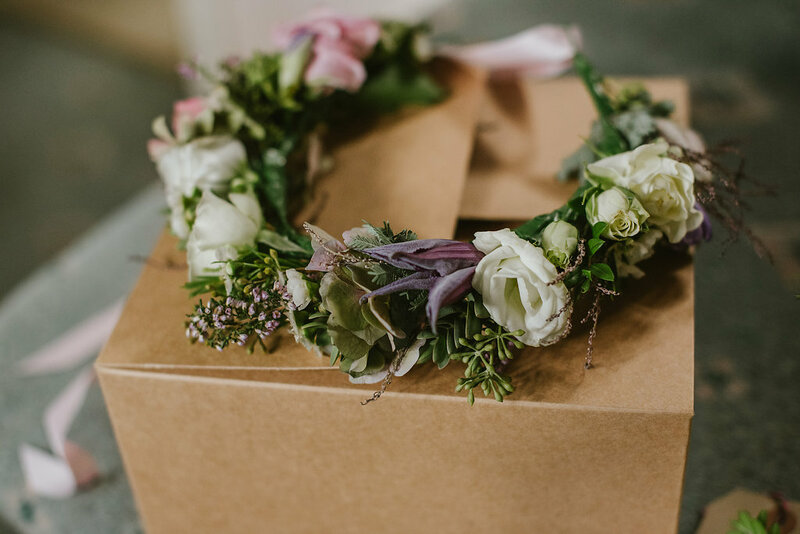 Sarah loved the English garden look, with a rustic and natural feel, incorporating trailing greenery and 'fluffy' foliage. 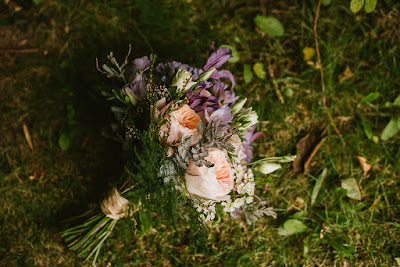 The bridal bouquet had a hand-picked, loose and unstructured feel - more of a gathered bunch than arranged bouquet. We used David Austin Juliette roses for a muted apricot tone, quicksand roses for a washed out pink, scabious and clematis for the pops of blue and purple, white lisianthus for a bit of bud-dy height, pink heather and wax flower for texture, a variety of mint and white freesia for scent, and then mimosa and asparagus fern for a touch of wild and whimsical greenery. The bouquet was then tied off with raffia, for that country vibe. 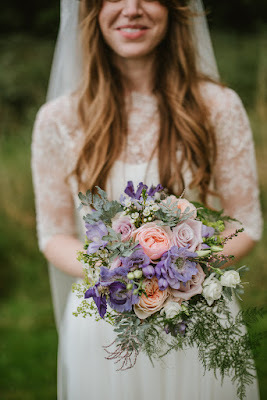 Sarah's maid of honour had a smaller version of her our bouquet, but without of the Juliette roses. 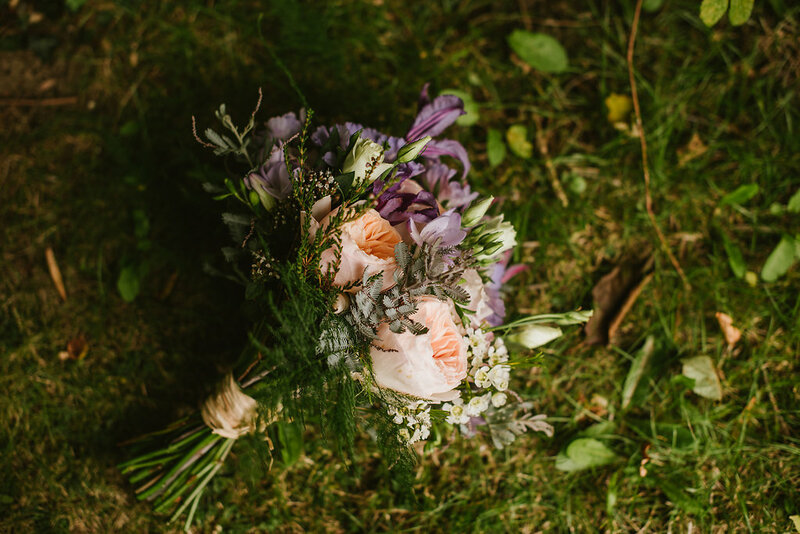 This is an good way of setting the bridal bouquet apart from the bridesmaids', while still giving them a lovely, substantial bouquet to hold. 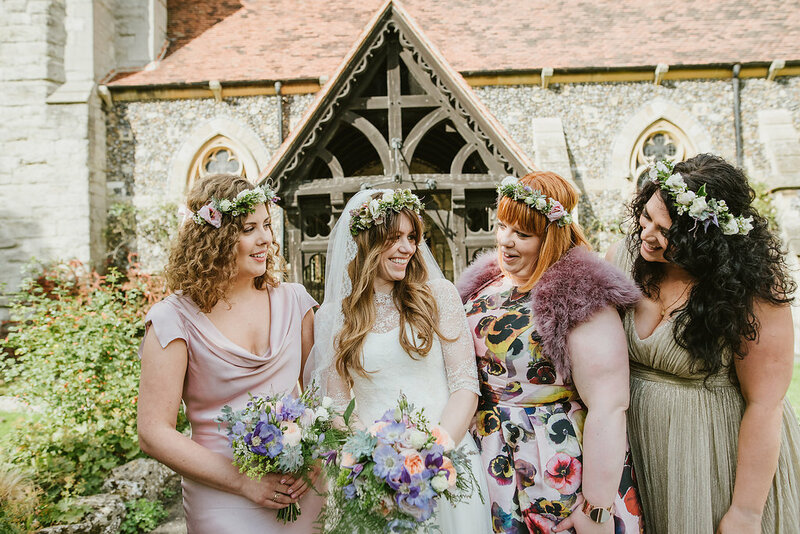 Sarah and her bridesmaids all had flower crowns for the day. 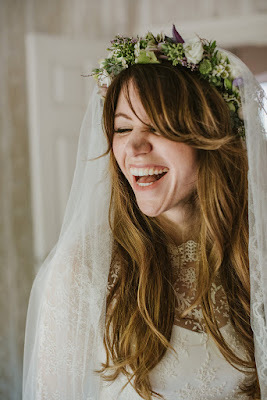 We'd like to take the credit for the beauty below, but it's really down to Sarah and her babeing hair. 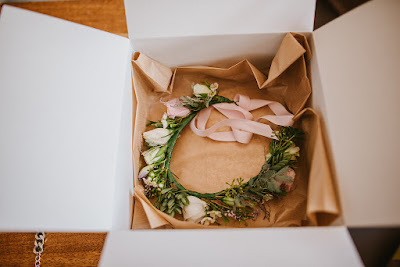 And tied at the back with a soft pink ribbon. 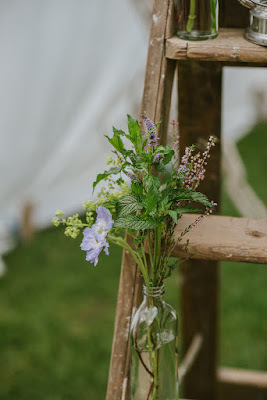 The bridesmaids had slightly less full versions, filled instead with more of the small, budded stems. 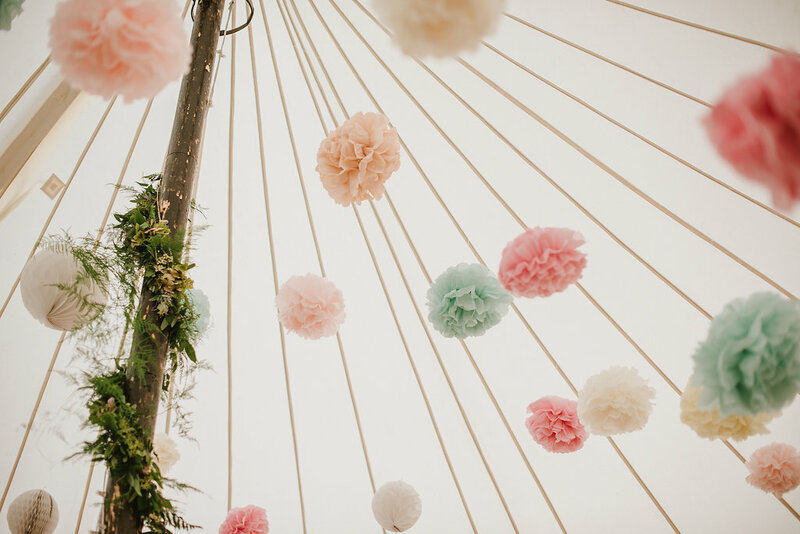 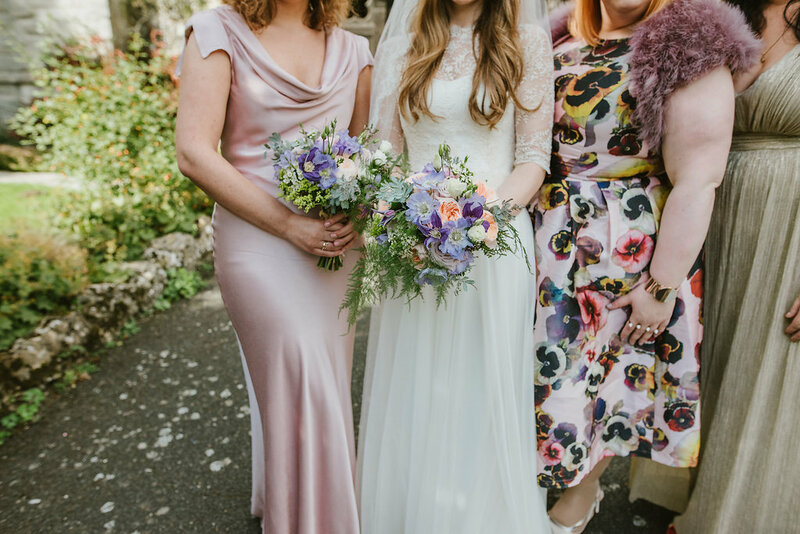 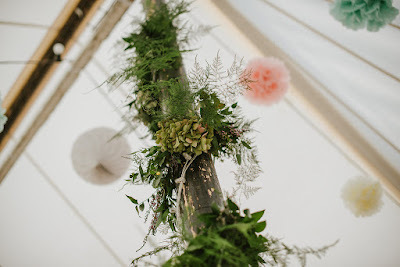 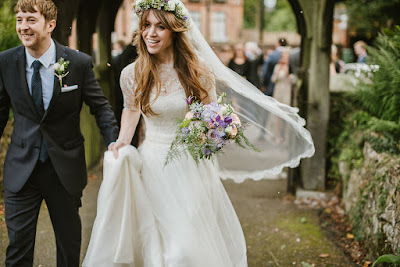 Following the ceremony, it was off to the cricket club where we had installed enormously long, textured foliage garlanding down lengths of the marque poles, and Sarah and Simon and their friends had meticulously suspended pastel coloured paper pom poms. 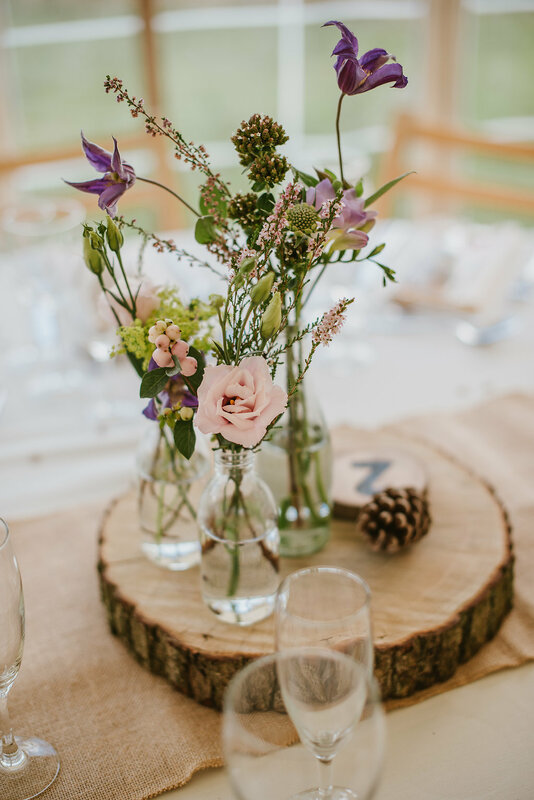 Sarah and Simon had opted for neutral table runners topped with tree trunk blocks and pine cones, where we placed a variety of different height and shaped clear bottles filled with flowers and foliage. 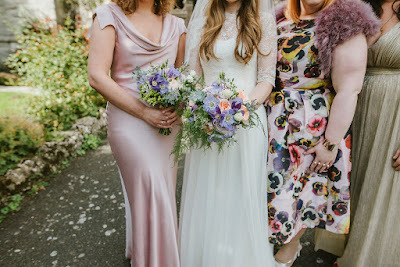 In addition to the flowers used for the bridal party, we used pink snowberries, alchemilla mollis and purple freesias. 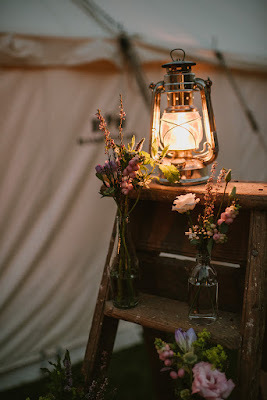 The couple also hired a number of old-fashioned wooden ladders, which held more bottles and some lanterns for the night time (party) atmosphere! Thanks to the wonderful photographer Ellie Gillard for these smashing snaps!